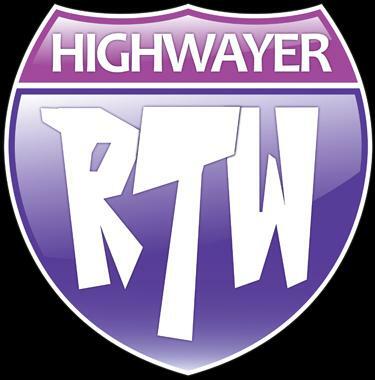 Road Trip Wednesday is a ‘Blog Carnival,’ where YA Highway‘s contributors post a weekly writing- or reading-related question and answer it on their own blogs. You can hop from destination to destination and get everybody’s unique take on the topic. Today’s Topic: What is the best book you read in November? Well, I’m happy to say that October’s stretch of mostly not-good books was only a fluke. November saw many awesome books, thanks in big part to my lovely CP, Heather Howland, who sent me a box of some of her favorites. Those included: Sing Me to Sleep by Angela Morrison (poignant and romantic), Sweethearts by Sara Zarr (realistic and reflective), Going Too Far by Jennifer Echols(fast-paced and steamy) and What Would Emma Do? by Eileen Cook (one of the greatest teen voices *ever*!). I also purchased and read Dirty Little Secrets by CJ Omolulu (so fascinating) and The Mockingbirds, by Daisy Whitney (important and multi-layered). 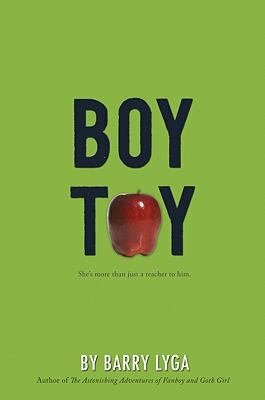 But my favorite book of November was Boy Toy, one I purchased and few months ago, then subsequently passed over time and time again in favor of some of the more hyped books sitting on the shelf around it. I SO regret not reading it earlier and, to settle the score, I’m going to take a stab at hyping Boy Toy, by Barry Lyga. Let me start by saying, I got the same feeling upon reading Boy Toy that I got when I finished reading John Greene’s Looking For Alaska and Jandy Nelson’s The Sky is Everywhere. The three are extremely different books, but all three are unflinching in their realism and their portrayal of very difficult teen situations. All three authors manage to say what needs to be said, even if it’s ugly or uncomfortable, and they do it in voices that have stuck with me. Boy Toy is the story of a now eighteen-year-old high school senior who was sexually abused five years earlier by his teacher, Evelyn Sherman. Over the years, I’ve seen real-life stories similar to the one written by Lyga on the news, and interestingly enough, focus always seems to be more on the abuser. What was she thinking? Just how sick is she? How much jail time does she deserve? I rarely see much said about the victims, the innocent minors whose lives are changed forever. Boy Toy focuses on one such victim and shows with unwavering realism just how disrupted his life has become. Boy Toy‘s characters are fabulous, and the main reason I loved this book so much. Josh, our protagonist, is something of a child prodigy and a very talented baseball player. He’s also the self-described school pariah, thanks to the lengthy and highly inappropriate “relationship” he had with his seventh grade history teacher. Five years later, (just as Mrs. Sherman is being released from jail for “good behavior”), Josh is still confused, totally scarred by what happened. He’s traumatized, harboring misplaced guilt, and unable to foster any kind of normal, healthy relationship with girls his own age. Thankfully he has, Zic, an awesome and incredibly loyal best friend, who often serves as comic relief. Then there’s Rachel, childhood friend and the proverbial “one that got away.” She’s suddenly back in the picture and intent on challenging Josh every step of the way. I’ll be honest: Boy Toy made me squirm more than once, and rightly so. The subject matter is intense and unsettling. There are several scenes of fairly graphic abuse that very nearly upset my stomach. We’re in Josh’s head the whole time and he certainly thinks like an eighteen-year-old guy. The language is sometimes harsh, but to me it felt honest and completely in character. That being said, Boy Toy is for those who prefer upper YA. There’s no censoring here, and that’s my biggest compliment to this book. Wow you were a busy reader this month. I”ve never heard of Boy Toy. Your review was excellent. Thanks! Yeah, I’m not sure how I got through so many books. They were all so good I kind of flew through them! Glad you liked my review… hope you check BOY TOY out! wow sounds like a very intense book! Definitely intense and hard to read at times, but in my opinion, such important subject matter to explore. Okay, I must read this!!! Definitely toss it in the Heather pile! Wow, thank you so much for this review. Not only am I interested in reading it, I think I just found my next gift for a friend of mine! Yes, definitely pass it on. It’s a great one!